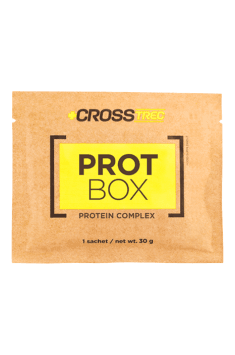 Very good protein supplement in a convenient form of use. The powder may be dissolved in water or milk. Use depending on needs - I suggest to match the individual calorie balance and protein requirements. This may mean between 1 to 3 sachets per day. Some may use protein supplements only on a workout days. In my experience, it's sometimes hard to balance the diet well enough to fully meet the demand for protein food, which is why it may also be used on rest days. Effective support for adipose tissue reduction. Guarantees fat and carbohydrate metabolism optimisation.